Although I had to register with my local draft board at age 18, I began college at Texas Tech University in the fall of 1963 with no particular plan to deal with my military obligation. Then, leading up to the 1964 presidential election, Senator Barry Goldwater made several speeches in which he recommended our country go to a volunteer military and abolish the draft. Although not a strong proponent of abolishing the draft, President Lyndon Johnson suggested a commission to study the issues involved with switching to an all-volunteer force. But by March 1965 Senator Goldwater had lost the election and President Johnson began sending more ground troops into Vietnam. At that point I knew the idea of abolishing the draft was probably a pipe dream. At the recommendation of a buddy of mine, Lee Roy Herron, I joined a Marine Corps officer training program that did not interrupt my studies. 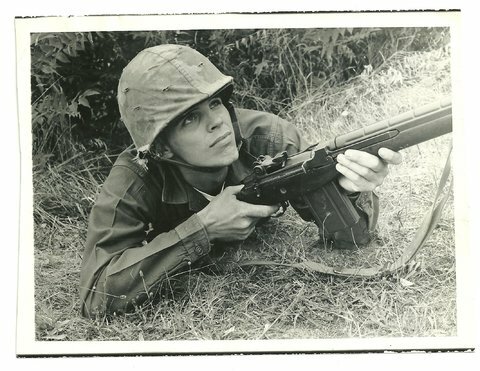 After surviving 10 weeks of officer candidates’ school in the summer of 1966, I transferred into a Marine Corps law program. As I had hoped, my three years of active duty after law school were relatively uneventful. On the other hand, Lee Roy died heroically in battle in Vietnam in early 1969, soon after he had volunteered for the front lines with fellow Marines. How quickly we forget the realities of military service and the draft situation that existed during Vietnam and the stark differences in individual experiences. Personally, I did not serve in Vietnam, never saw combat and received no awards for valor. It is difficult for me to judge the lack of military service by Senator Sanders or Mr. Trump or any other candidate when some of my personal military decisions were centered on achieving just what they did: avoiding setting foot in Vietnam and experiencing combat. Although we could just treat all Vietnam-era veterans as heroes, and harshly judge all those who did not serve in that or later wars, that view is too simplistic and unfair. It is also unfair to treat all Vietnam-era veterans who never saw combat as equal in heroism to those who actually saw the fight, were killed or wounded, or taken prisoner, such as Senator John McCain. While all Vietnam-era veterans deserve to be honored for their service, the highest accolades belong to people like my friend Lee Roy. The Vietnam era was a complicated and confusing time, and judgments of draft-age men for their decisions then should not be made hastily or harshly. Prior military service is not a requirement to be commander-in-chief, and youthful decisions made a half-century ago may not be much of an indication of the kind of leader an individual would be now. David L. Nelson spent three years in the Marine Corps, attaining the rank of captain. He became a tax partner with Ernst & Young and represented many of the largest nonprofit organizations in Texas. He is co-author of the book “David and Lee Roy: A Vietnam Story,” published by Texas Tech University Press.